Paul Irvine is on Wendy’s WOW List of Trusted Travel Experts for his expertise and connections in Brazil, Argentina, and Uruguay. The reviews below are from real travelers who’ve taken trips that were arranged by Paul and monitored by Wendy. Don’t miss Paul’s Insider’s Guides to Rio de Janeiro and Trancoso, Brazil. Paul Irvine and his team did an excellent job in helping us plan a very diverse 2 weeks in Argentina and Chile — and in dealing with the kinds of unexpected twists that can pop up along the way. We went into the process with a range of interests and he did a good job in helping us focus the list on what would prove to be the most memorable elements, with the right amounts of time to do them properly. The hotels were terrific choices and we have nothing but good things to say about the many transfers at each stage of our holiday. Of particular note, the real test (from my point of view) is always what happens when something goes off the rails. In our case, Paul quickly adjusted our timetable to take into account a missed connection due to weather that meant losing a day at the front end and needing to reshuffle the lineup a little. That led to one scheduling mixup that he resolved as soon as it popped up (and then arranged a nice way to make up for what was a fairly minor issue in real life). When arranging travel in a part of the world you haven’t been to and dealing with the full range language, culture and legal matters than can arise in crossing borders, it really pays to have someone who can be that “fixer.” Paul is all that and more and we’ve already recommended Wendy and Paul’s services to friends who want a great a vacation as we had. Paul was easy to work with, informative and his planning turned out to be spot-on. Paul was easy to work with, informative and his planning turned out to be spot-on. His suggestions (Paraty, restaurants, where to watch the Sambadromo) were excellent. The samba instructor Carla was so much fun!! And my husband’s 2 birding guides were excellent. Cafe Turquesa in Paraty (and especially the owner Tete) was the perfect end to a great trip. Paul is outstanding from first contact to final post-trip communication. Rarely have we had less need to revise what an agent proposed for our travel. Paul listened carefully to what my wife and I enjoy in travel, and planned the perfect blend of big city (BA), including two outstanding guides, wine country with two guided private bodega experiences, private terrace dinners in the shadows of the Andes mountains, then complete relaxation in eastern Uruguay with its endless beaches, world-class gastronomy, private winery tour with the head sommelier, dinners at the top locations… Paul updated our itinerary for some dinner enhancements, communicated every step of our trip, answered various questions en route (tipping protocol, e.g. ), and really made our entire experience exceptional. NOTHING was missed. Paul is the consummate pro. We will return to South America many more times, but only if and where Paul can provide his comprehensive service. Paul Irvine and his agency were on top of everything. From the planning, organizing the itinerary, laying out suggestions to following up on the day-to-day activities, Paul and his agency were thoroughly involved. I know he contacted our hotels, guides and drivers to make sure they knew our limitations, e.g. Anne is allergic to shellfish. He monitored each and every activity to make sure all was going according to plan. Throughout the journey, I had some minor questions and he had a response to me often within hours regardless of the day of the week. For this blue-collar kid from Brooklyn, such luxury, care, and professionalism were beyond compare. It was like having someone remotely looking over your shoulder to make sure all was kosher. We loved everything about the trip and what Paul was able to organize for us. Every detail of the trip was perfect. We have just returned from a trip to Iguazu Falls organized by Paul Irvine. Every detail of the trip was perfect. The hotels Paul selected were gorgeous; he booked us at the only hotel in the Brazilian side of Iguazu National Park where, after 6 p.m., only guests of the hotel were allowed to remain in the park. We spent one full day in the park with our guide and then two days at a secluded ecolodge, Puerto Bemberg, in the middle of the rainforest. On our final day, a driver picked us up from the local airport in Buenos Aires and took us to a restaurant Paul had selected for our last meal before leaving for the U.S.–a lovely riverside place with great food. Paul was always responsive during the trip to smooth over any little bumps (and there were very few). I recommend him highly for anyone travelling to Argentina or Brazil. There was something magical every day! I am so grateful for Wendy’s recommendation of Paul Irvine at Dehouche! He planned an excellent and customized trip for me, my daughter & son-in-law & my 11 year old grandson. The trip to Lima, the Amazon, Iguazu Falls, Rio for Carnivale & Paraty was the grandson’s “special” trip (other siblings had been to Galapagos & Bostwana…so the expectations were quite high! Unfortunately, in the middle of planning, my husband suddenly passed away. Paul was kind and patient and when I was ready to resume the planning – albeit slightly revised – he was reassuring to me, now leading this trip on my own. Beyond this caring service, he planned an excellent trip that we all enjoyed. The service, logistics and accommodations were spot on.. A slight glitch in taxi arrival was MORE than made up for by VIP seats at Carnivale.. Even though I had been very involved with the planning and asked a million questions and googled until my fingers were numb…I never ceased to be wonderfully surprised at how terrific everything was. As my daughter said: There was something magical every day!! I would not hesitate to recommend Paul to anyone. THANK YOU THANK YOU, Wendy, for guiding me and my family to Paul!! Paul responded to our travel request for special requirements for senior citizens by ensuring all accommodations were suitable for our abilities. In the case of one inn that proved to be unsuitable because of stairs that were too steep he allowed for us to change to a more appropriate hotel at the cost of the agency. He was on the spot and available to help make the decision to change properties immediately. I would most like to commend the efficiency and capabilities of all the drivers who attended to and really made our journey effortless. All were never one minute late, all were courteous and helpful, all were delightful people to know. I would particularly like to recommend Sen. Celso Pereira who was above and beyond in his ability to achieve important transports on this trip. Putting together this group of drivers is an important consideration as a recommendation of your company. I would also like to recommend Luiz Cruz in Tiradentes who was an incredible tour guide full of history and knowledge of the area. All hotels were lovely and personally accommodating to our needs and comfort with gracious staffs. I would particularly recommend Oratório Pousada Boutique, Casa Turquesa Maison D´Hôtes, and Villas de Trancoso Hotel e Pousada. We can definitely recommend this company to others. I looked for an agent to handle aspects of our trip to Brazil because I don’t speak Portugese. I don’t know the country, and the reputation of Brazil as a dangerous place swayed me to organize our trip so that we would always have help near our family or around us if we needed anyone for any reason, at any time. In general, I do not use travel agents and prefer to book hotels and flights and activities on my own. I find it ends up being less expensive and more spontaneous, and I don’t feel disappointed at the end of a trip. 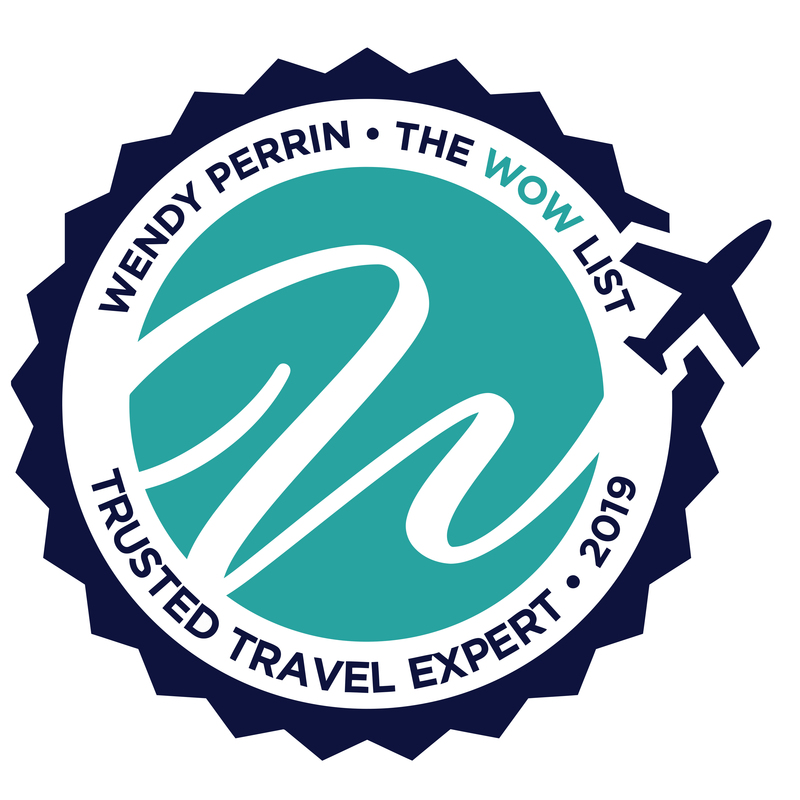 Having said that, I have found that the two trips I have booked using Wendy Perrin’s Trusted Travel Experts have both been very positive experiences. I had a short but useful Skype conversation with Paul Irvine, during which we laid out what I hoped for during our trip, and he also suggested an extra destination, but agreed sounded very much like something my group would enjoy. We paid up, received our schedule, and on the appointed day and time, made our way to Rio. The most important thing for me and for my husband was that the people on the ground were there for us, and they were. There was never anyone who was late, or absent. Even our first guide, who had a personal matter which kept him from picking us up at the airport when we arrived, sent his brother-in-law to get us. This was the most important thing to us and it was flawlessly executed. I also found the enclosed information on restaurants, nightlife, shopping, and useful Portuguese words very valuable and used this throughout our stay. My only issue was that there was not very much communication between the travel agency and us. Since I rarely use agencies, and had never heard of Dehouche except from this website, I was nervous about saying goodbye to a large chunk of money for services not yet rendered — especially in a tanking economy such as Brazil unfortunately suffers at the moment. I did have a few times where I tried to make contact and could not reach anyone from the agency for a while, which I honestly consider not so great if you are running a business. However, my husband is of the opinion that the company carried out their mission to the fullest degree: be there for the client where it counts, on the ground when you need them most. We spent 2 weeks in Brazil and took 10 flights during our 2 week stay. Every connection and transfer was on time and very accommodating. Every hotel was first class. I would recommend Paul Irvine from Dehouche to anyone. We just returned from a six-day trip to Brazil, expertly planned by Paul. My partner and I are usually very independent travelers, so the whole process of using an expert was entirely new to us. 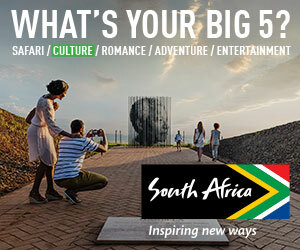 Paul delivered a truly wonderful itinerary within our budget and it only exceeded our expectations once on the ground. We spent three days in Rio de Janeiro and three days in Paraty. Our driver/guide was fantastic and we loved having the same driver throughout. Every hotel we stayed in was phenomenal, especially our last night at the Hotel Santa Teresa. Paul booked us at hotels that I didn’t think were in our budget otherwise, and we enjoyed wonderful excursions such as a private trip on a schooner touring the islands near Paraty. We fell in love with Brazil and will certainly use Paul’s expertise for our next trip. Knowledgeable and efficient. Did an excellent job of tailoring our trip to our interests and needs. His recommendations on hotels and local guides were all excellent. We do not often work with a travel agent, but I would definitely recommend Paul to anyone heading to Brazil. Paul did an excellent job organizing our visit to Sao Paulo and Rio de Janeiro. The itinerary he suggested reflected our areas of interest as outlined to him. He responded quickly to questions and offered several very helpful suggestions. His pre-trip package of information was extensive and useful. Our guides were very knowledgable about their respective cities and showed us areas that we would never have discovered on our own. Should we return to Brazil, we would definitely recontact him.